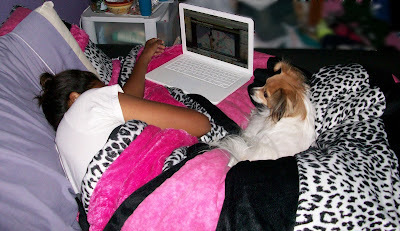 Girl resting bad soccer injury and watching videos with dog on her laptop. I'm sorry she got hurt! She does look comfy, at least!